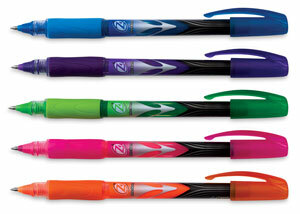 The Bic Z4+ Fashion Roller Pen offers a smooth, fluid writing experience, in a variety of fashionable neon colors. The Z4+ has a 0.7 mm fine point. A visible ink supply means you’ll never run out of ink unexpectedly. A rubber grip offers comfort and control. The barrel matches the ink color. Set of 5 — This set of neon colors includes one each of the following colors pink, purple, orange, blue, and green. 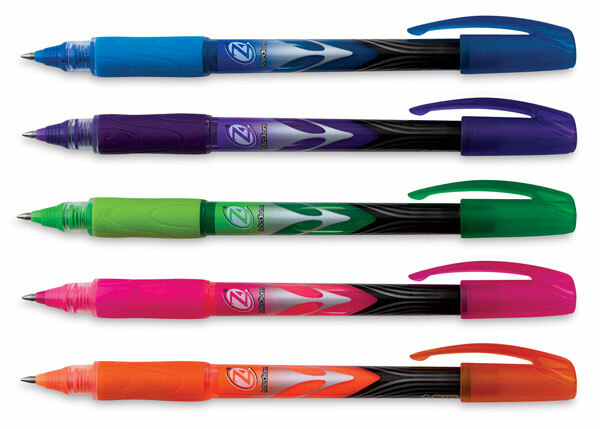 ® BIC is a registered trademark.® Z4+ is registered trademark.